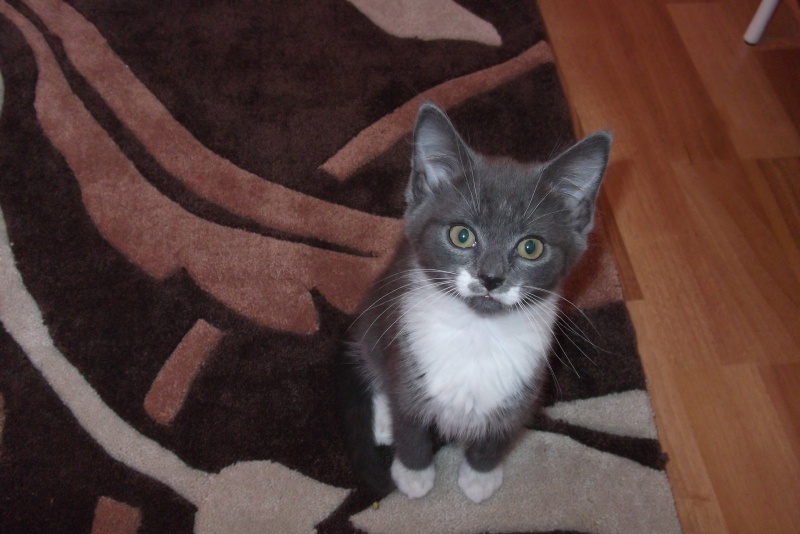 This wee kitten called Hugo was taken to our vet for a check up, after being picked up by one of our kitten fosterers. He was given a flea treatment and the fleas were literally falling off him – we stopped counting at 150!!! What you may not know is that FLEAS CAN KILL KITTENS. Such tiny creatures as kittens can be made so weak by the fleas sucking their blood, that they can quickly go down hill and die. So, please remember to regularly de-flea your cats & kittens. Hugo now has a lovely home.